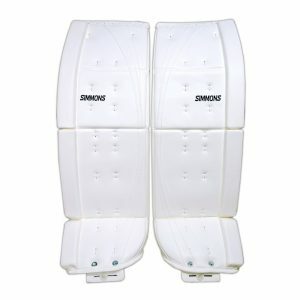 THE SIMMONS 1000 CANADIAN PRO FEATURES A SPLIT T POCKET FOR MAXIMUM DEPTH AND WIDTH OF POCKET. THE 1000 IS READY TO USE RIGHT OUT OF THE BOX. 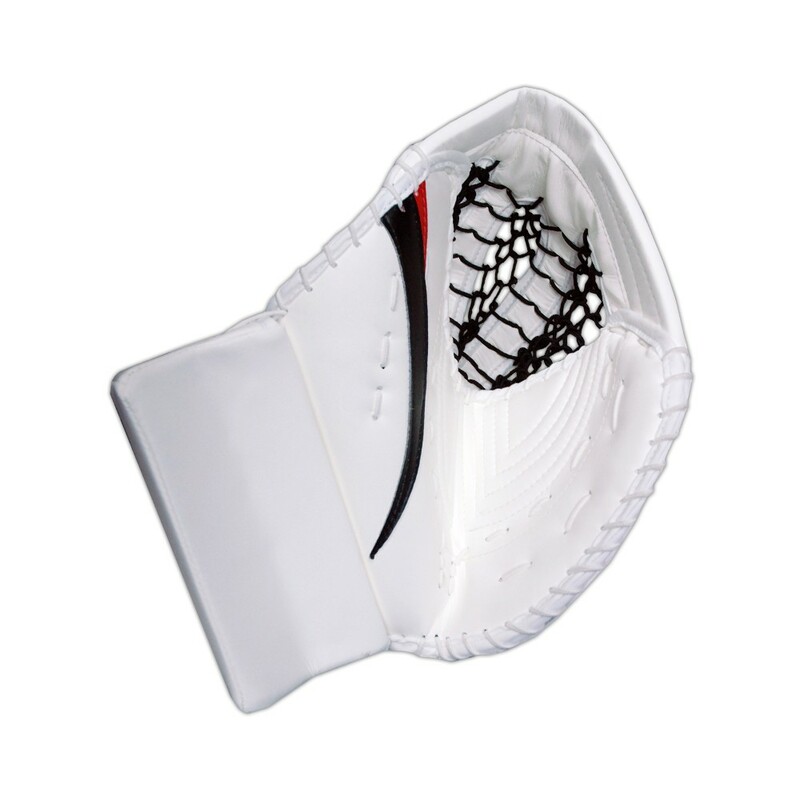 THE 3 WAY HAND LOCKDOWN SYSTEM ALLOWS FOR COMPLETE CUSTOMIZATION. PRO LEVEL LD COMPOSITE ANTI-SHOCK PALM PROTECTION ENSURES THE HIGHEST PROTECTIVE LEVEL WITHOUT AFFECTING THE EASE OF CLOSURE. NEW PRO GRIP INTERIOR GIVES THE WEARER CONSTANT CONTROL EVEN IN THE SWEATIEST OF CONDITIONS. 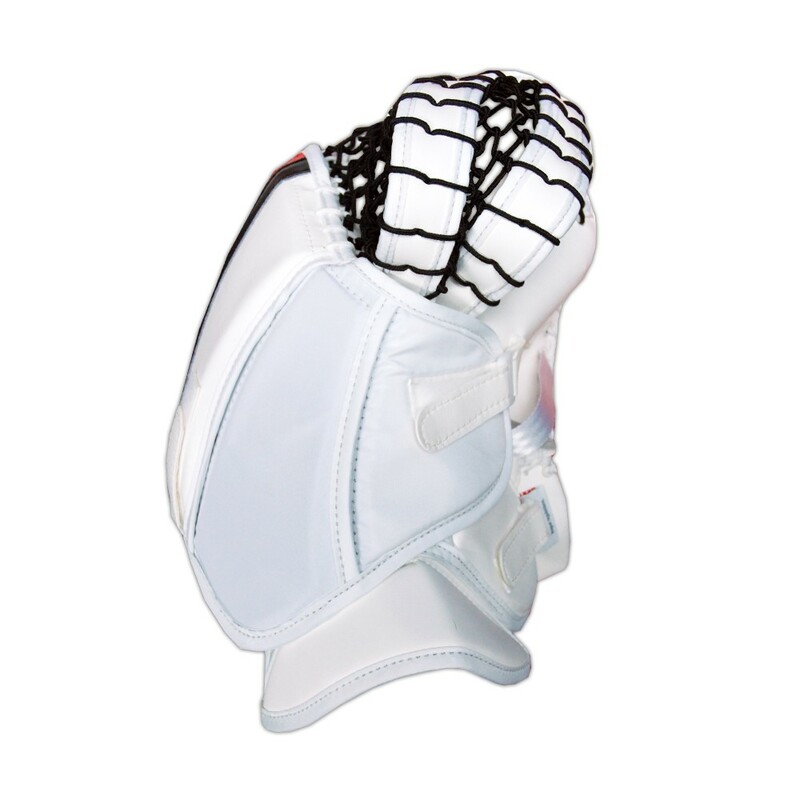 HD/LD REINFORCED ARMADILLO FLEX STYLE BACKHAND PROTECTION. 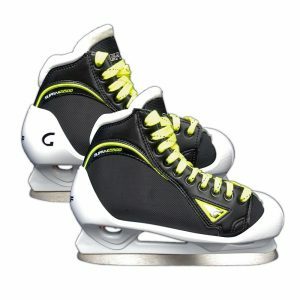 THE 1000 HAS A WHIP CLOSURE FOR THE ULTIMATE IN PUCK RETENTION AND AS IMPORTANT PUCK COVERAGE. 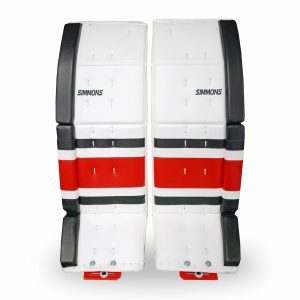 TWO PIECE CONSTRUCTION UNLIKE A SIMPLER ONE PIECE ALLOWS THE FLEXIBILITY TO PLAY THE PUCK BRODY STYLE. STICK HANDLING IS A BREEZE IN THE SIMMONS 1000 CANADIAN PRO. – TOP OF THE LINE MATERIAL CONTENT. -DIVIDED PADDED MESH STYLE FINGER STALLS FOR CONTROL. 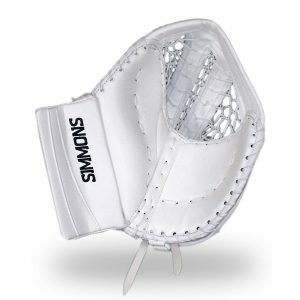 – SECONDARY PADDED WRIST PROTECTOR.